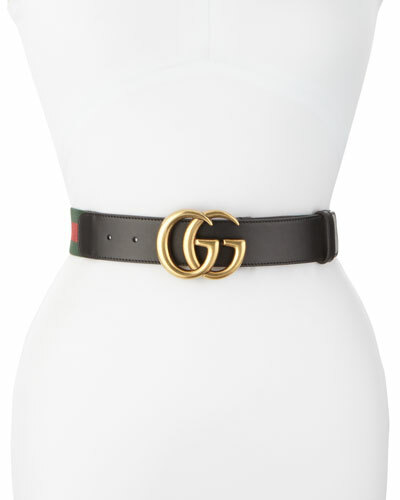 Gucci leather belt. 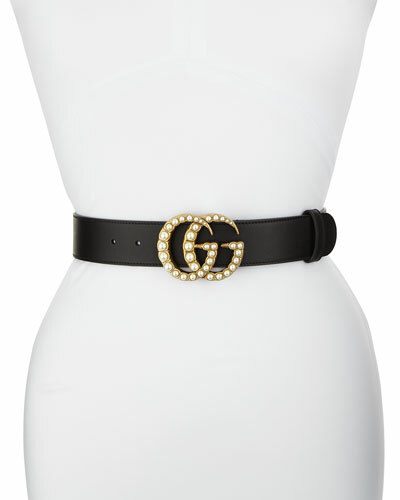 Double G buckle with pearlescent beads. 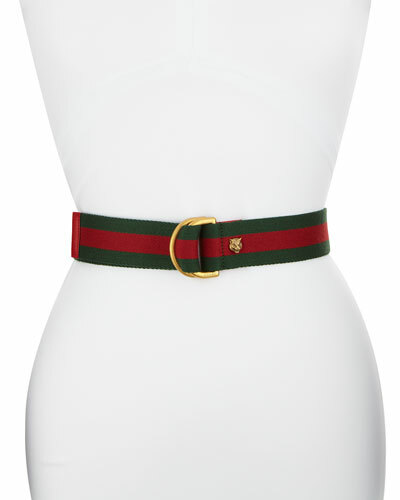 Hip or waist belt. 0.8"W. Made in Italy. 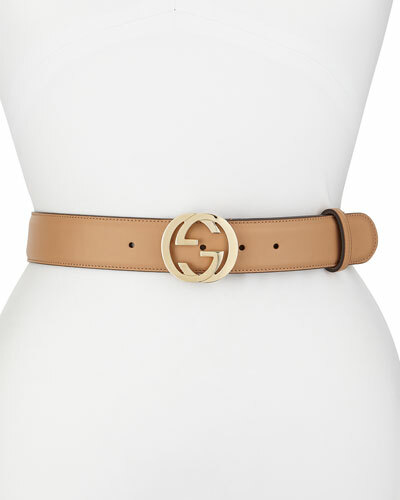 Gucci triple-strand belt in copperhead snakeskin. 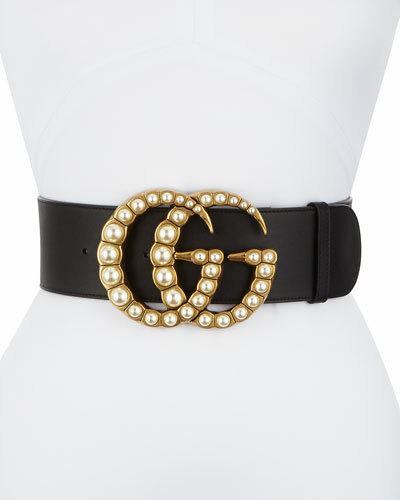 Golden, square G buckle. May be worn at hip or waist. Approx. 0.8"W. Made in Italy.